Senior pictures Grand Rapids Michigan. Welcome to the Cloud Photography Senior Portrait page. We know how important your senior pictures are. After all…you’ll only be a senior…ONCE! Grand Rapids senior pictures created by Cloud Photography. Senior pictures Grand Rapids Michigan. 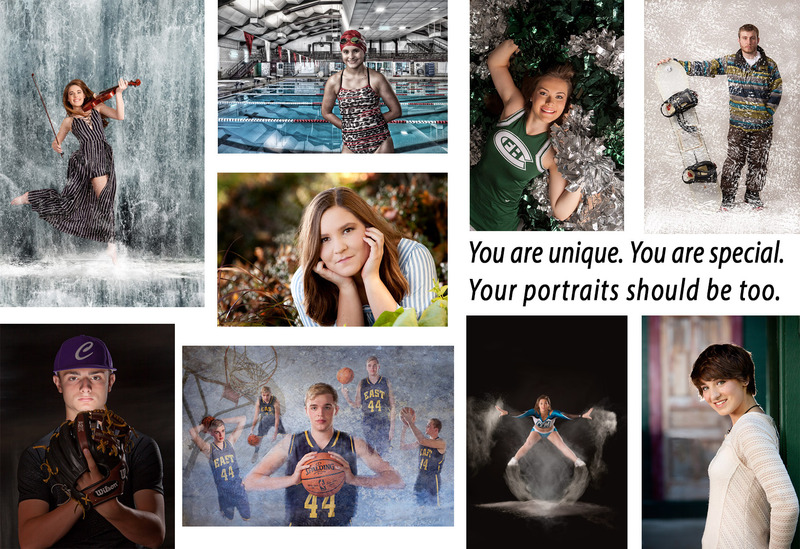 We are a Grand Rapids MI photo studio that specializes in senior pictures. Hopefully we can answer all your questions about our high school senior picture process here on our website. We’re located in Western Michigan. Our home studio is located just outside Grand Rapids in Kentwood MI. We were located for 30 years in Cascade and we continue to create senior portraits for seniors in Lowell, Caledonia, Ada, Cascade, Rockford, and Grandville in our new location. How important is your senior portrait? Consider this. People have only four occasions in their life that call for a professional portrait. When they’re a baby, their senior portraits, on the day of their wedding, and when they have a family. So when you think about it, yeah, it’s kind of a big deal. Having senior pictures taken is part of the celebration commemorating your transition from being a kid to becoming a young adult. Like many seniors, we’re sure you want to look you’re very best. That’s where Cloud Photography comes in. Unfortunately many people believe that a camera does it all. That’s like thinking that great cookware prepares great meals. That a professional pair of shears and a comb can create a great looking hair style. Great looking portraits happen with professional lighting techniques while using a camera…not the other way around. (Ever see a friends senior pictures where they have two dark dots for eyes? AKA raccoon eyes. That won’t happen at Cloud). You can read more about this here. Additionally, can a camera figure out what pose is best for you? We’re all made differently and at Cloud we know which camera angle and pose will make you look your best. After all we should. We’ve spent thousands upon thousands of dollars in continued education to make sure we know how to make people look their best. You don’t have to go it alone for your senior pictures at Cloud. As a professional photographer, we take it upon ourselves to make sure we help you look your best. That’s why we have a consultation with you to help you get ready for your once in a lifetime portrait shoot. Plus, looking your best is what it’s all about right? Probably not. That’s why we help you through every part of your shoot. We’ll show you the pose and then have you try it. It’s easy and it’s fun. We promise you’ll love your senior pictures. We have the best guarantee in the business. Though it seldom ever happens, if you don’t like your poses when you see them, we’ll make more of those poses for you at no charge. Portraits you don’t like are worthless. Portraits you love are priceless. Senior pictures Grand Rapids Michigan at Cloud Photography. You are unique. You are special. Your senior portraits should be too. Check out the Cloud Difference here.